The Scent for Her (Eau de Parfum) is a perfume by Hugo Boss for women and was released in 2016. The scent is fruity-sweet. It is being marketed by Coty. The faces of the advertising campaign are model Anna Ewers and actor Theo James, photographed by Darren Aronofsky. I am always happy when samples are enclosed with my perfume orders in online perfumeries. I love to discover new fragrances that might develop into a short- or long-term friendship. 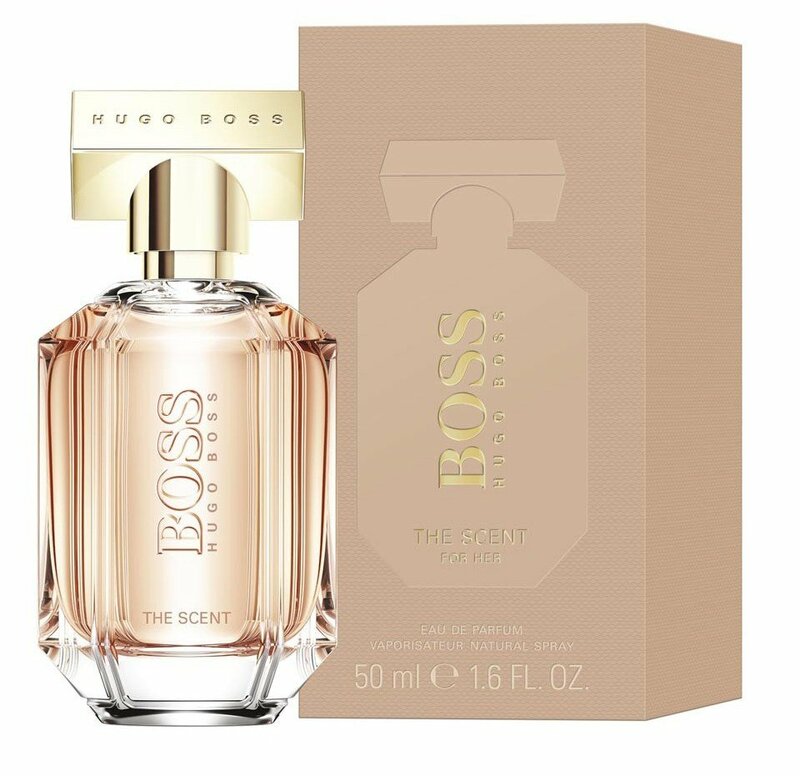 This time I found a smell of Hugo Boss in my package. "The Scent for Her" he calls himself - without any false modesty. Now I will finally find out what THE scent is for me. 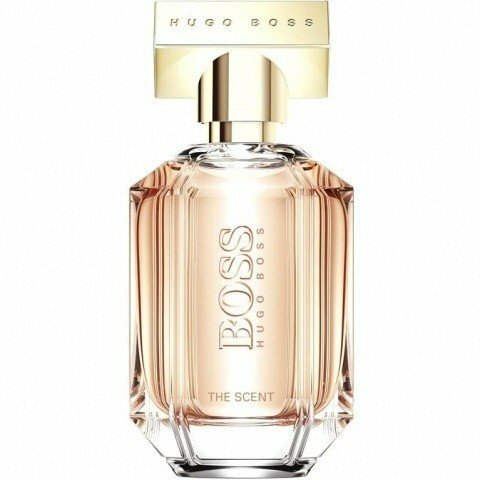 I am curious, although I cannot imagine with the best will in the world that there can be a single ultimate women's fragrance. But I like to be taught something better. Of course, I immediately apply the almost colourless Eau de Parfum to the back of my hand. Before I sniffed at the bottle and found the first impression fully confirmed on my skin: After a - oh, so short - moment of freshness it soon becomes sweet. Very cute. The fragrance appears floral from the beginning. If I hadn't read that the peach is floating around in the top note, I would have missed it. Freesia seems much more dominant to me, although I wouldn't have identified it either. Flowery, sweet, powdery - these are the sensations that "The Scent" arouses in me right at the beginning. Powdery's good for once. I like this dry, flowery sweetheart. But that's about it. The fragrance offers no refinement and does not develop. This may be due to the fact that it contains only relatively few scents and the freesia in the top note is as sweet a scented flower as the osmanthus in the heart note. With a little imagination I can slowly perceive the peach, which unfortunately doesn't give the scent any more character. What could not have been done with the peach olfactorically? But with Boss, you went the easy way. What does that mean? The fragrance is "Everybody's Darling" - pleasing, sweet, not too intrusive, neither provocative nor sensual, just nice. You could also say good boy. There's nothing special about him, nothing to attract attention. Whoever wears this EdP won't look uncomfortable. Probably not at all. 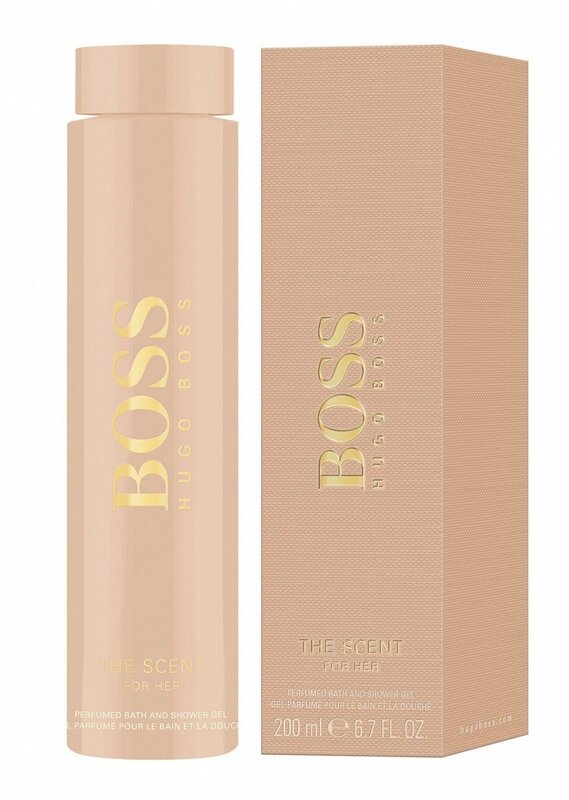 Because "The Scent" has something arbitrary, insignificant - like a shower gel from the supermarket or a soap. At best, it conveys a well-groomed appearance, but has nothing that will remain in your memory. The recognition value is correspondingly low. The scent seems superficial to me. He wants to be nothing more than a sweet floral scent that goes well with summer. It's not enough for me. I guess sweet floral scents. But even with them the special is possible. Last summer I bought Daisy from Marc Jacobs. Also a sweet floral scent. 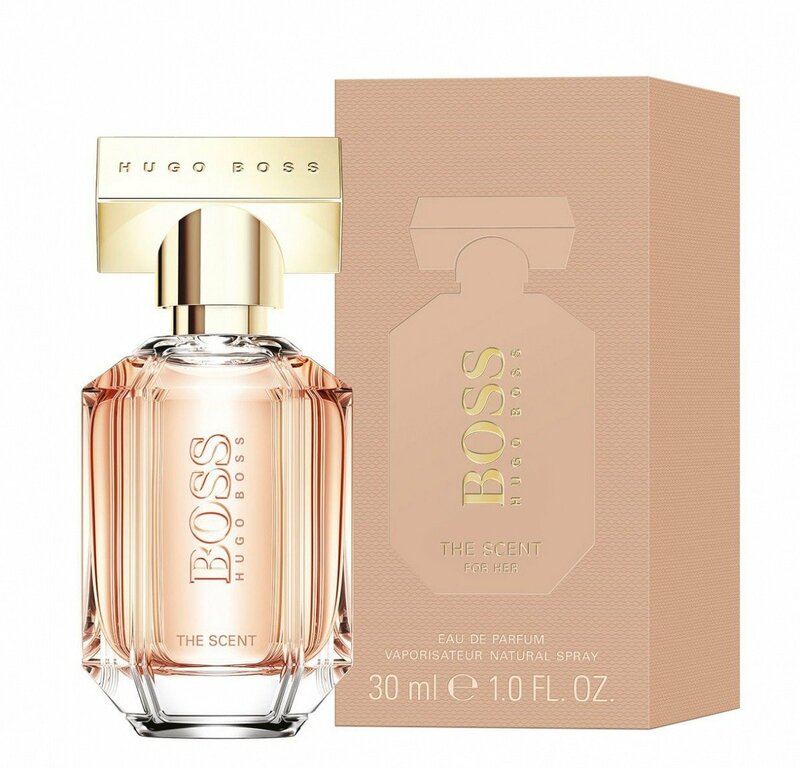 But a fragrance that has many more facets and arouses romantic, dreamy and nostalgic sensations. It looks like a cheap scent to me, which is aimed at teen girls: sweet, flowery, trivial. Applied - and forgotten. 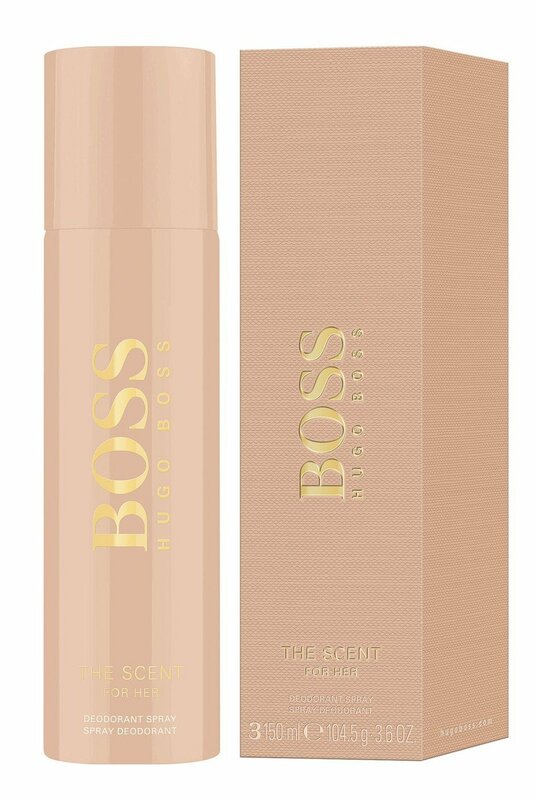 Not a great fragrance to underline a woman's personality. Name and presentation suggest a precious, noble drop. The cut glass flacon is reminiscent of a one-million dollar perfume in a penthouse in Manhattan. The name plays arrogantly with the ultimate, the ultimate. It's the scent. Period. Off. Comparisons are obsolete. Unfortunately the smell does not correspond in any way to the expectations stoked up here. I imagine him rather in a colorfully painted Boho bottle in an unlocked shelf in a perfumery, right next to inexpensive make-up articles. And with a name like "Peach Party," he'd be a hit with all teen girls. They'd certainly love the base note of "roasted cocoa." And if I were, I could see them too...???? 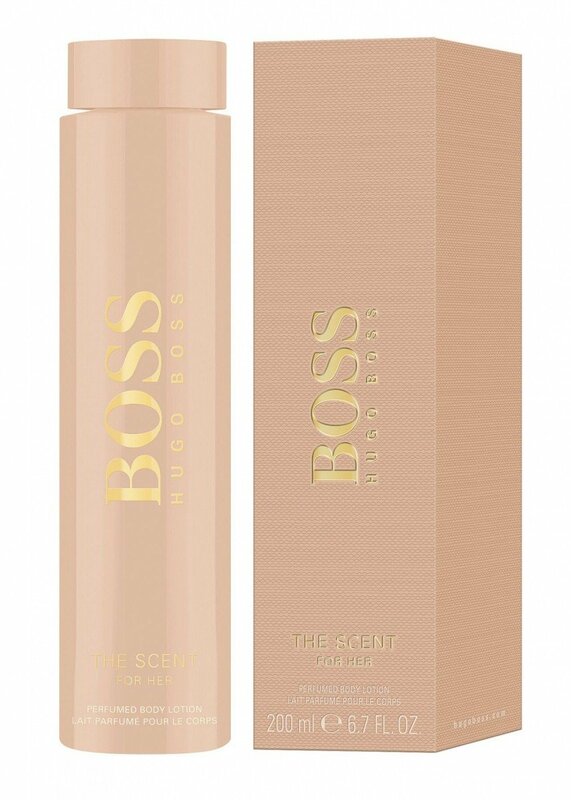 The fragrance is uninspired, almost boring and expressionless. It would fit to a care series with shower gel and body lotion, but as THE fragrance it offers too little original and special. Is it because of the German provenance that he comes across so well-behaved and bland? After all, he's dutiful enough to last long. You gotta hand it to him. The Sillage plays little role, since the scent is not noticeable anyway, but at best is perceived "so incidentally", without triggering anything, which exceeds "aha, sweet, flowery ...". He certainly isn't my scent. He is too unimaginative for me and offers too few new, creative things. Well, that's lucky, actually. 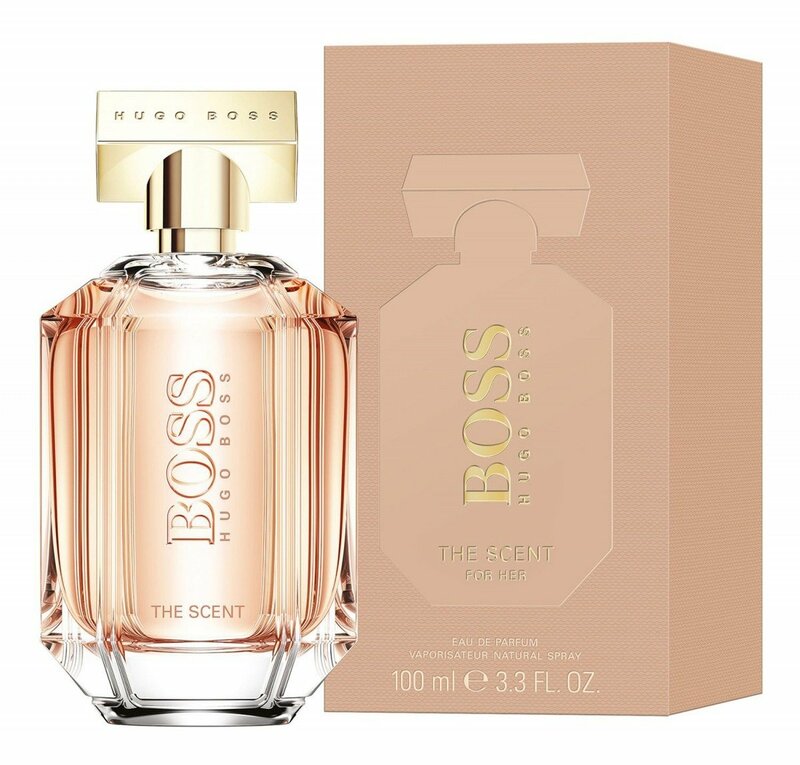 Because this sample will not lead to a purchase with me - although the Boss fragrances are not among the most expensive anyway. I'd rather save what I've acquired for a fragrance that inspires me more.